Rev. 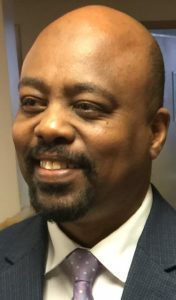 Dr. Tilahun Mendedo, former president of Concordia College Alabama, has accepted the position of Executive Development Officer with Lutheran Bible Translators. 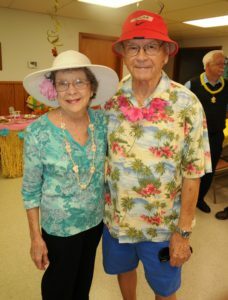 He was installed on Sunday, March 26. 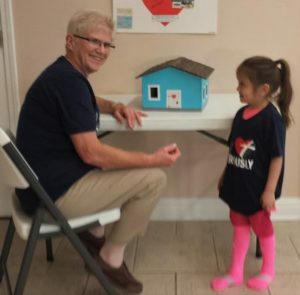 Good Shepherd Lutheran Church in Gulf Breeze, FL, held its mission festival on January 15. 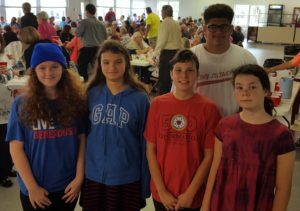 Youth from Immanuel in Pensacola, FL, recently assisted with a monthly chicken dinner at Camp Dixie. 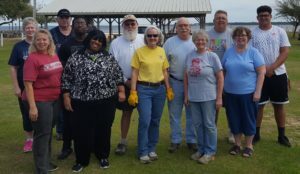 In addition, teens and adults from Immanuel joined other area Lutherans for a Camp Dixie Work Day. 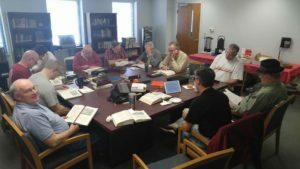 Also pictured is a group of men from Immanuel and Redeemer in Pensacola, in a meeting where they study God’s Word and the Lutheran Confessions on a monthly basis. 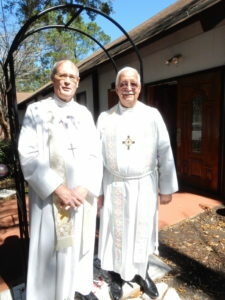 This winter has found St. Paul’s in Foley, AL, alive with the sound of music as they now have a choir director. 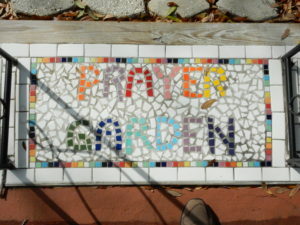 Sarah Schrader has formed an adult choir and a children’s choir, and they have been singing at the church service occasionally.